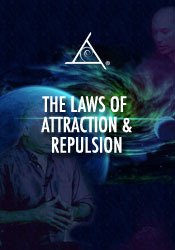 How The Laws of Attraction and Repulsion work and how they relate to belief systems. Includes a HOLOTOPE Guided Meditation- A Transformative Experience of Light, Color and Sound. Q&A Includes: What percentage of Bashar is coming through right now? What are the 5 Hybrid Races? Why is the Contact Crystal Green? The Power of the number 3. What role on Earth do the Momos of Columbia play? is there such a thing as "Spiritual Time?" Sacred Sexuality. Working without expectation.